In a new article on "The Players' Tribune," Baltimore Orioles outfielder Adam Jones fires back at those who have expressed doubt that he was the victim of racist taunts at Fenway Park earlier this month. 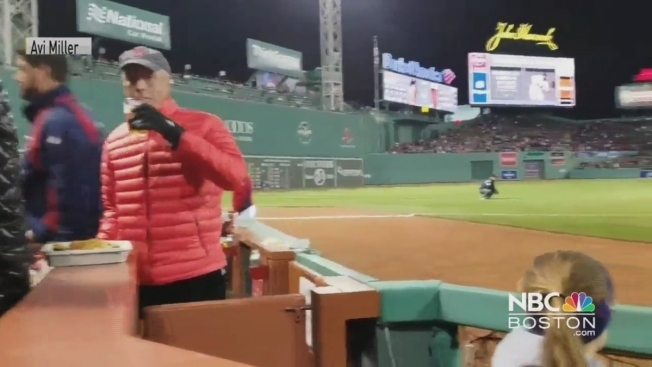 Following a game on May 1 at Fenway, Jones said he was "called the n-word a number of times." A bag of peanuts was also thrown at him, but hit a police officer instead. The Boston Red Sox apologized to Jones immediately afterward, and promised to take action if the perpetrator was found. But some members of the media have questioned whether the incident really happened. "To the people that are asking me 'where's the proof?' well, what I'd say to people is, come play center field and be in my shoes," Jones said. "That's all I have to say to that. Because certain shoes that other people are wearing are completely different than mine. "They don't have to deal with what I have to deal with. They don't listen for what I have to listen for. So just come be in my shoes and your perspective on life will be changed drastically, I can promise you that." Jones also spoke about past incidents where he's been the victim of racist epithets and times when his teammates have had things thrown at them during games. And he spoke about his 3-year-old son, and how someday he'll have to explain to him what he experienced during his playing days. "At the end of the day, it's about getting this conversation, getting this message out, and zero tolerance at ballparks," Jones said. "Because actions and words like this just aren't part of the great game that I've grown to love, and that many have grown to love."